The customer project survey checks that the project fulfills the minimum criteria for a Partner to achieve/maintain Gold or Platinum status. To carry out the survey, the Partner will provide us with the details of customers whom a member of our Partner Consulting team will contact via telephone to carry out the satisfaction survey. How It Works To carry out the survey, you as the Partner will provide us with the details of customers whom a member of our Partner Consulting team will contact via telephone and ask them about their experience and satisfaction level. A positive customer project survey result is valid for 12 months. To keep your Partner status, you will have to identify new customers to be surveyed in the same way before the end of the 12 months. The following criteria are basic prerequisites for a Loxone Smart Home. In order for the project to meet the basic requirements for a Smart Home with Loxone, lighting with presence/motion sensors must be present in the house and automated with Loxone. Further, if available heating, security and blinds must be automated with Loxone. Do your blinds adjust automatically depending on room temperature and the sun’s position? Is the lighting automated using presence/motion detectors? Do the majority of rooms in your house contain presence or motion detectors? Do you have zoned heating? Are temperature sensors used in the major rooms? Requirement: For each room being controlled the ‘Intelligent Room Controller’ function block should be used in Loxone Config. Is the cooling in your house controlled by Loxone, taking into account actual room temperature and whether or not a room is occupied? If a house has electric shading devices (e.g. electric blinds/curtains), then these must be controlled by Loxone and adjust automatically depending on room temperature and the sun’s position. If they are not, then the customer satisfaction survey will not be positive overall, because one of the compulsory criteria has not been fulfilled. If there are no electric shading devices in the house, then this criterion does not count towards the result. In any project however, lighting must be automated by Loxone using presence/motion detectors. We use these questions to ensure that the customer is satisfied with the installation. These questions must be answered positively. Would you recommend your Loxone Partner to your best friend? 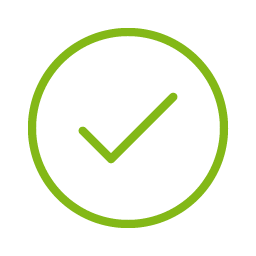 At least 65% of the following features (if present in the installation) must be controlled/automated with Loxone for the customer satisfaction survey to receive a positive overall result. If ventilation, a burglar alarm and multiroom audio are present, then at least two out of three of these technical features (at least 65%) must be integrated and automated with Loxone. If a technical feature is not present in a house, then it will not count towards the result of the satisfaction survey. The following points are for feedback on the Loxone Partner. Only some of the questions count towards the result of the survey. The main objective of this section is to allow the Loxone Partner to improve their service further. The following questions do not count in the assessment. Do you use the Loxone Caller Service? Do you use lighting scenes, and do you know how to change them? Do you have a ‘Good Night’ button? Is your garage door monitored? Do you control your intercom with Loxone? 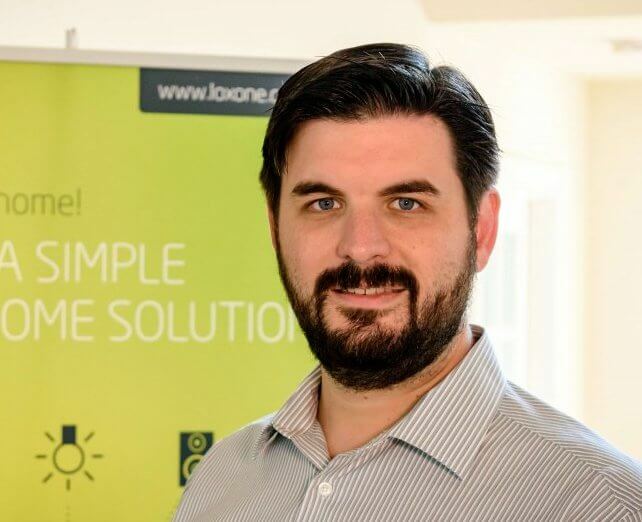 Have you integrated IP cameras with Loxone? Do you use double or triple click functions? Can you also control your home remotely? The following questions assess the quality of service received once the project was complete. For a customer satisfaction survey to pass, the customer must receive adequate training in how to use Loxone and the home’s automation must be satisfactorily optimised for the requirements of the customer. Did the Loxone partner carry out a hand-over of the installation? How would you rate the quality of hand-over? Did your partner arrange for a follow-up appointment for “fine-tuning” your installation 1 – 3 months after completion? How would you rate the quality of the “fine-tuning” session? The Partner carried out a hand-over and fine-tuning session with the customer, but the fine-tuning session was rated with a 3 by the customer (average), so the overall satisfaction survey’s result will be negative. If you have any questions or concerns regarding the customer project survey, your Partner Consultant will be happy to help answer them for you.